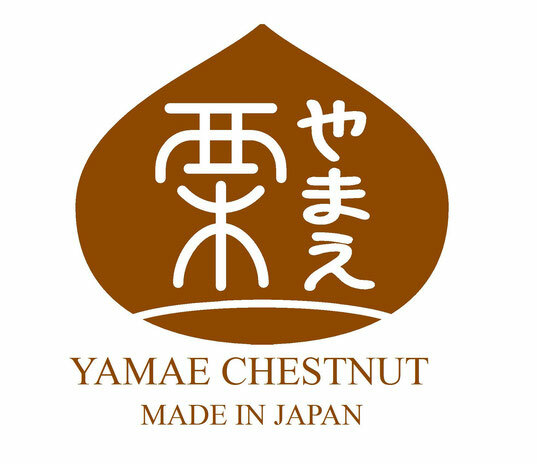 Yamae Chestnut products that are certified by Yamae Village are allowed to use the brand logo on packages. This is to let everyone easily see that they are products using Yamae Chestnuts among all the other chestnut products. Using Yamae Chestnut as a motif, there are the words "Made in Japan" under a ripe chestnut. It shows our pride in providing Japanese chestnuts and also hopes of Yamae Chestnuts being loved all over the world.